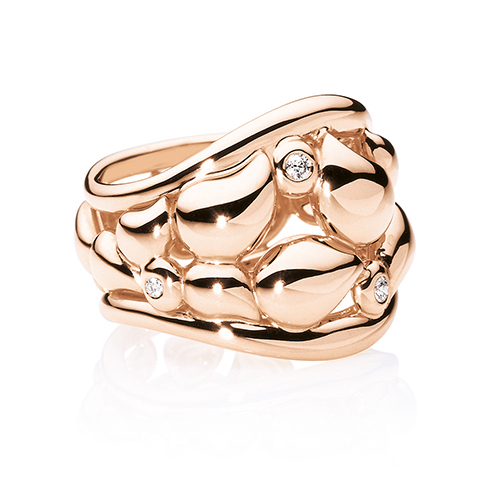 Ring with 18 karats rose gold and champagne diamonds. Ring with 18 karats white gold and white diamonds. Medium bracelet with wood and rose gold. Medium ring with 18 karats rose gold and white diamonds. Braclet with 18 karats white gold, ceylon opals and white diamonds. 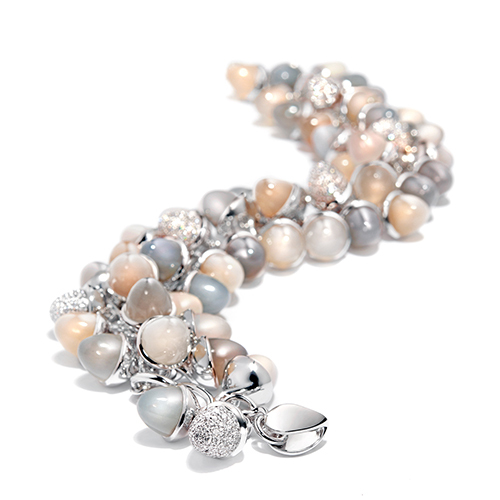 Necklace in 18 karats white gold with medium grey chalcedony, small smoky quarz, small mother-of-pearl pendants. Necklace in 18 karats white gold with medium aqua chalcedony and small rose chalcedony pendants. Necklace in 18 karats rose gold with orange, white and brown ceylon opal pendants. Earrings whith rose gold and mother-of-pearl.